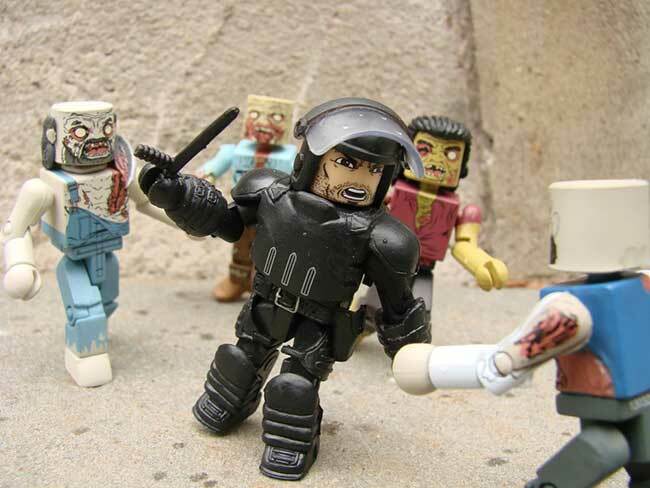 The Walking Dead Minimates Series 3 is Breaking Out in New Photos! June 2013 - This week sees the release of The Walking Dead Series 3 Minimates at comic shops and specialty stores, and they're all from the famous prison story arc of the hit comic book by Robert Kirkman! Rick, Hershel and Dexter face off against a trio of zombies in three different two-packs, and be on the lookout for a short-packed Battle-Damaged Tyreese! Hershel and Tyreese (both with Farmer Zombie) are exclusively at comic shops and specialty stores, while Rick and Dexter (with Guard and Dreadlock Zombies) are shared with Toys "R" Us stores. Two additional sets, Glenn and Carol (with Vest and Pole Zombies), are exclusively at Toys "R" Us. 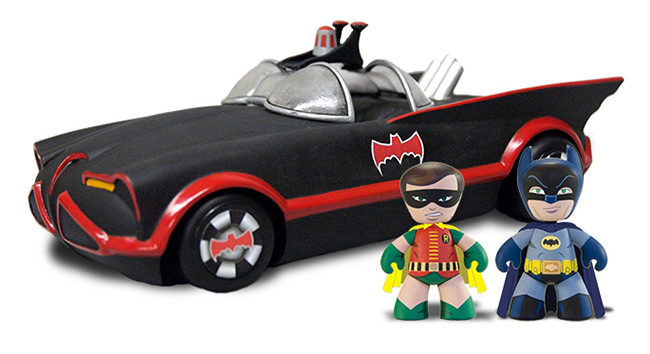 Check out some new pictures of the Minimates in action below, and reserve a set at your local comic shop! 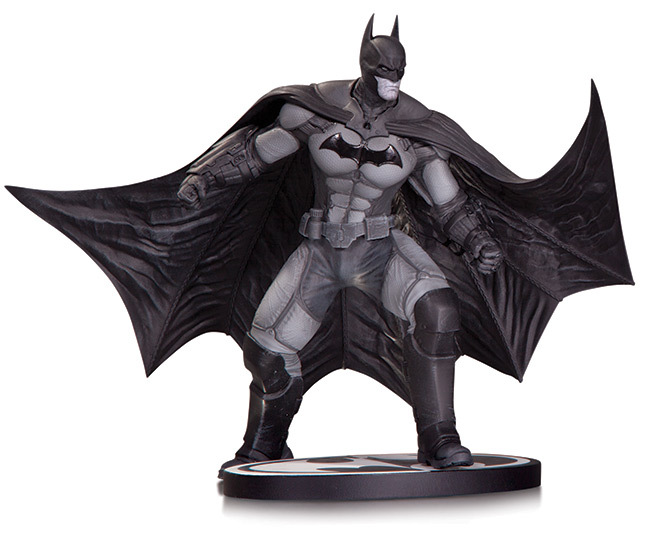 Find your nearest retailer at ComicShopLocator.com! 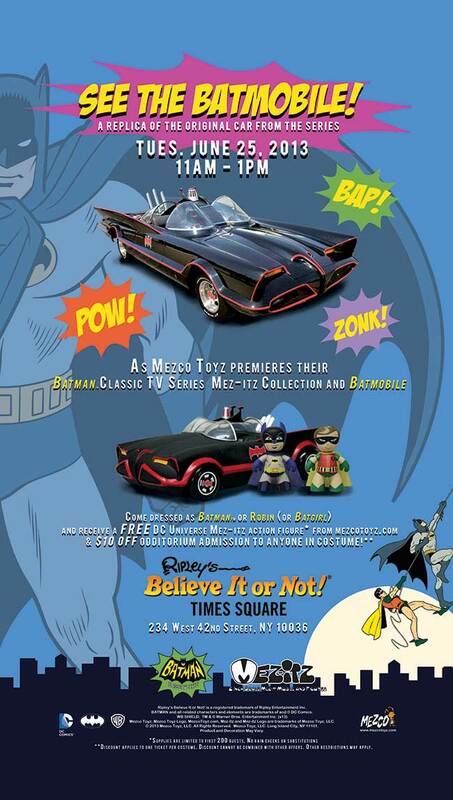 Mezco will be revealing these new products to the general public for the first time on Tuesday June 25, from 11am-1pm at the famous Ripley's Believe It Or Not Odditorium on 42nd Street in New York City (http://www.ripleysnewyork.com/). 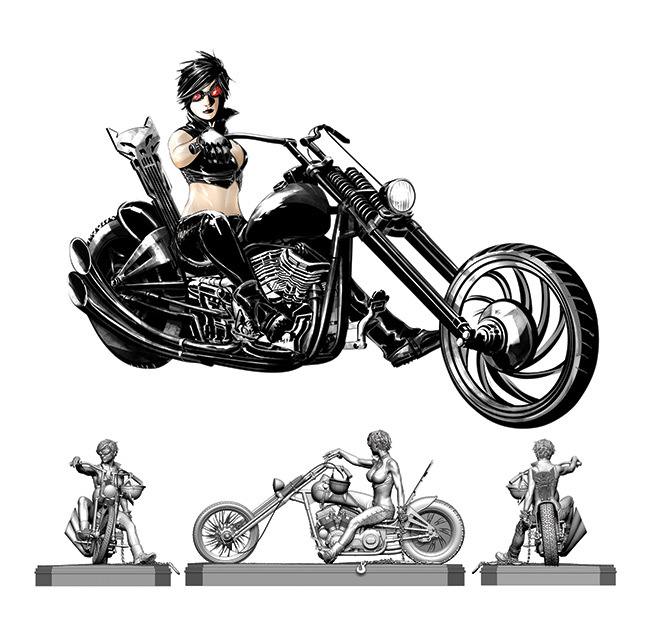 Celebrate the holidays with an action figure gift set featuring two of Arkham Asylum most infamous inmates, Poison Ivy and Harley Quinn. 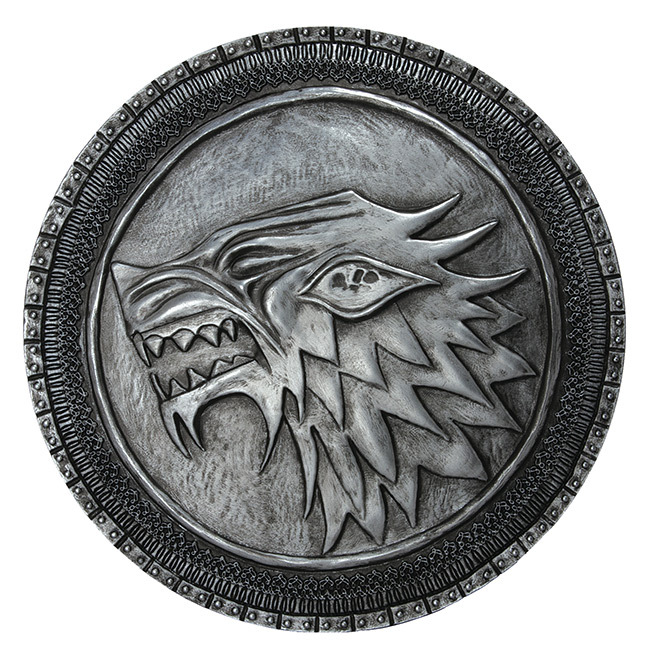 These gorgeous but deadly villains will stop at nothing to get what they want and no one will get in their way, including The Dark Knight. 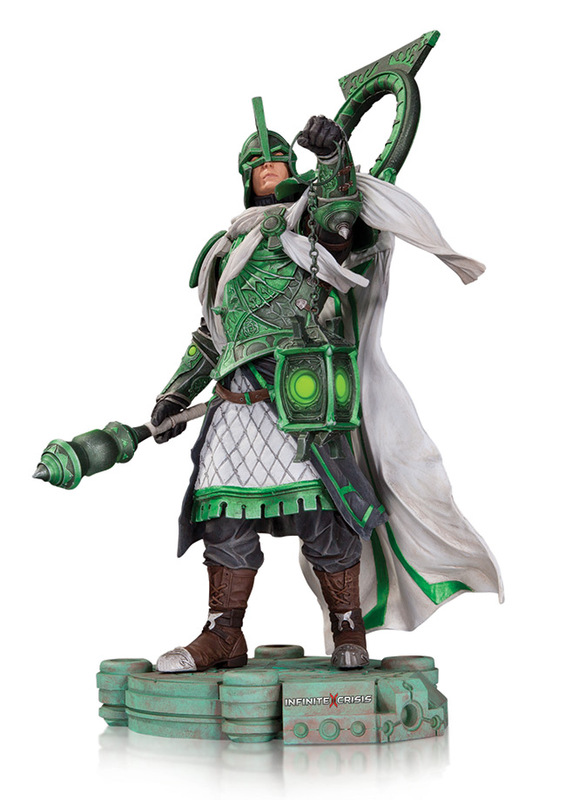 Don't miss your chance to own the first-ever action figure that captures the World's Greatest Mercenary's new look from DC COMICS - THE NEW 52. 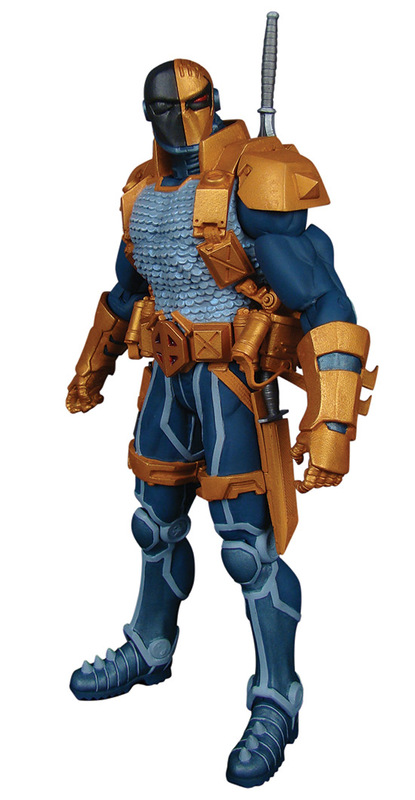 Deathstroke will also be equipped with 3 accessories! 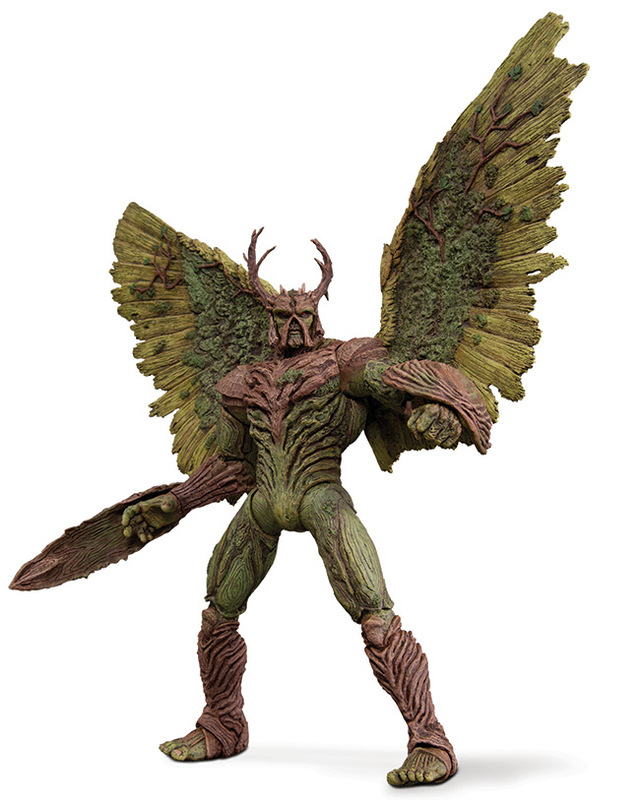 The Protector of the Green from the pages of the critically acclaimed series SWAMP THING is transformed into a deluxe action figure based on the designs of acclaimed artist Yanick Paquette.